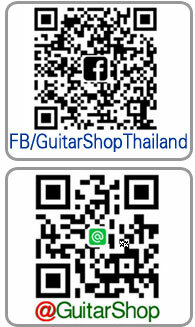 Condition: New ขายึดสปริงหย่องกีตาร์งานจีน **กรณีซื้อสินค้าหลายรายการค่าจัดส่งสารถคิดรวมกันได้ .. 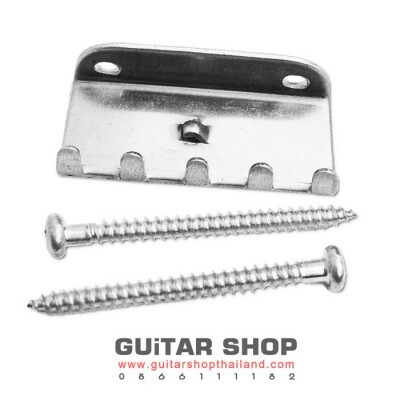 Condition: New ขายึดสปริงหย่องกีตาร์ Fender®Strat/StratocasterGenuine Fender Stratocaster® Tremolo ClawFender Part number : 0010272100Keep your Fender® tremolo bridge in working condition with genuine Fender replacement parts.This tremolo claw is used to hold tremolo tension springs in place for most Stratocaster® tremolo assemblies, with a nickel-plated steel construction that's sure to last through any performance.FEATURESNickel-plated steel constructionFits American Vintage, American.. 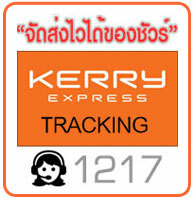 Condition: New ขายึดสปริงหย่องออริจินอลฟรอยโรสพร้อมสกรู ผลิตจากทองเหลืองอย่างดีไม่ขึ้นสนิมModel : FRTCBRASS Genuine brass upgradable spring claw and screws for Floyd Rose Tremolo Systems. 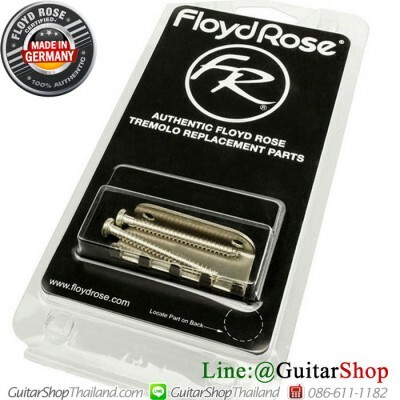 Fits Floyd Rose Original, Pro, and 7-String tremolo systems. 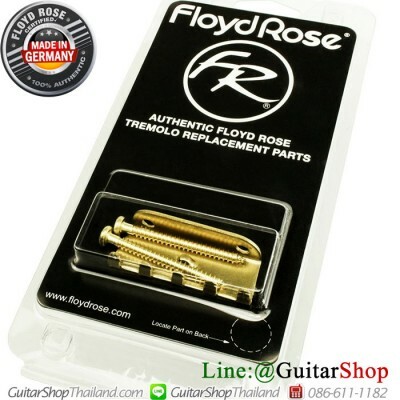 Made in Germanywww.floydrose.com .. 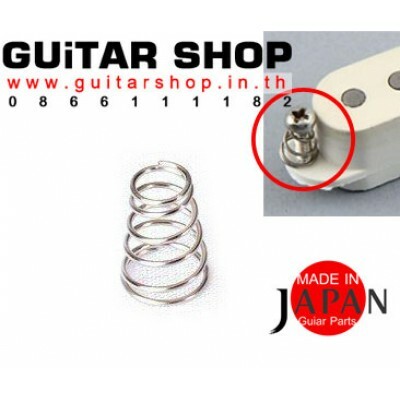 Condition: New ขายึดสปริงหย่องออริจินอลฟรอยโรสนิเกิลพร้อมสกรู Genuine Floyd Rose replacement tremolo spring claw and screws (set of 2 screws, 1 claw)Model : FRTCPMade in Germanywww.floydrose.com .. 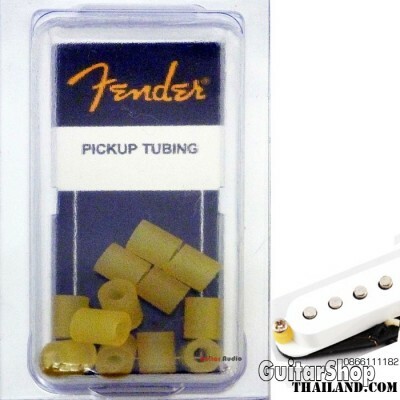 Condition: New ยางรองสกรูปรับความสูงปิคอัพกีตาร์เฟนเดอร์เพจเกจ 12ชิัน Fender pickup mounting rubber tubing, package of 12. for Strat/Tele GuitarFender part number 099-4916-000Genuine Fender pickup tubing is ideal for mounting new pickups just right and for replacing pickup springs or older tubing.Package includes 12 pieces of rubber tubing.Used with most Fender instruments with pickguard-mounting pickups. **กรณีซื้อสินค้าหลายรายการค่าจัดส่งสารถคิดรวมกันได้ .. 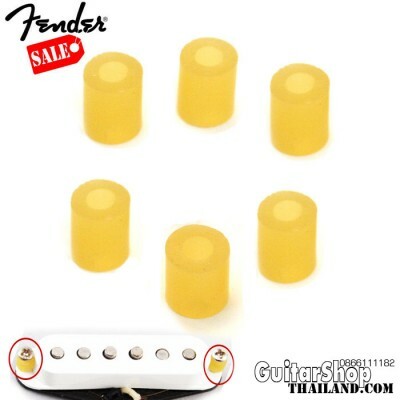 Condition: New ยางรองสกรูปรับความสูงปิคอัพกีตาร์เฟนเดอร์เพจเกจ 6ชิัน Fender pickup mounting rubber tubing, package of 6 for Strat/Tele GuitarFender part number 099-4916-000Genuine Fender pickup tubing is ideal for mounting new pickups just right and for replacing pickup springs or older tubing.Package includes 6 pieces of rubber tubing.Used with most Fender instruments with pickguard-mounting pickups. **กรณีซื้อสินค้าหลายรายการค่าจัดส่งสารถคิดรวมกันได้ .. 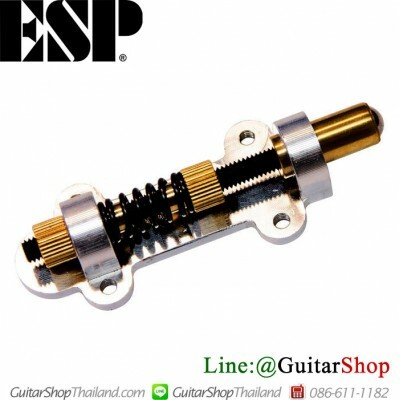 Condition: New สกรูและสปิงปรับความสูงก้านคันโยกกีตาร์ไอบาเนส Edge PRO II, EDGE III and SAT-PRO Fit for Ibanez Tremolo Arm. 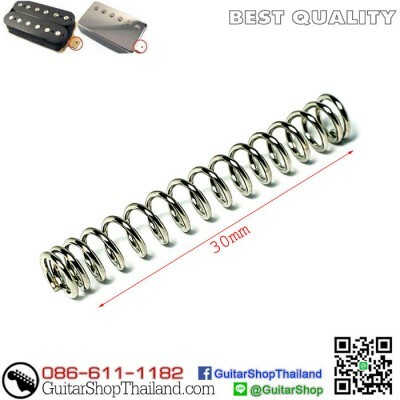 For Edge PRO 2, EDGE 3 and SAT-PRO Tremolo systems. **สินค้าไม่รวมสะพานสาย สำหรับกีตาร์ไอบาเนสรุ่น: RG series RG420CM RG series RG420FB RG series RG420EG RG serires RG470AH RG series RG370 RG series RG370AX RG series RG370DX RG series RG370DXGP1.. 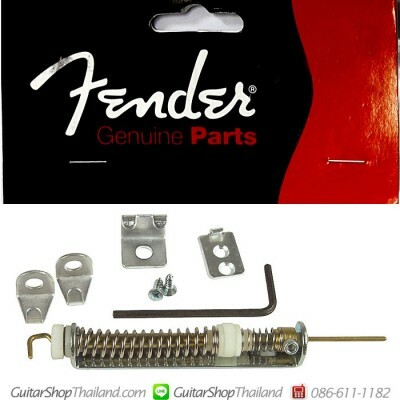 Condition: New สปริงก้านคันโยกเฟนเดอร์ 1ตัวFender Tremolo Arm Tension SpringsFender Number: 0994931000The genuine Fender Tremolo Arm Tension Spring helps set your tremolo arm into a fixed position when used with any Fender American Series tremolo .. Condition: New สปริงปรับความตึงหย่องกีตาร์หัวตัด OVERLOAD OF MUSICMade in China **กรณีซื้อสินค้าหลายรายการค่าจัดส่งสารถคิดรวมกันได้ .. Condition: New สปิงปรับความสูงปิคอัพซิงเกิลคอยล์ สำหรับกีตาร์ เฟนเดอร์ และ สตัท,เทเล Single Coil Pickup Height Adjustment Springs Size 5.5 X 11.5 จำนวน 1 ตัว *ราคาไม่รวมสกรู **กรณีซื้อสินค้าหลายรายการค่าจัดส่งสารถคิดรวมกันได้ .. 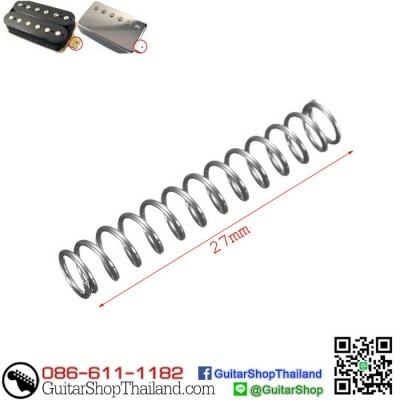 Condition: New สปริงปรับความสูงปิคอัพฮัมบัคกิ้ง Humbucker Pickup Height Adjustment Springs *ราคาไม่รวมสกรู .. 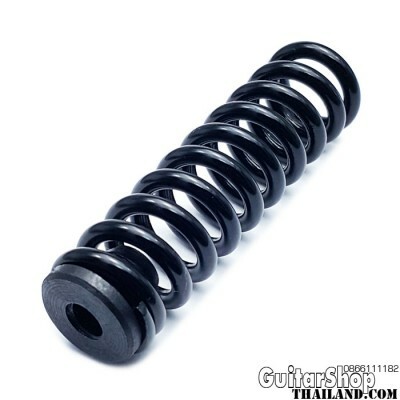 Condition: New สปริงปรับความสูงปิคอัพฮัมบัคกิ้ง ชุบโครเมียม ยาว 30mm Humbucker Pickup Height Adjustment Springs *ราคาไม่รวมสกรู .. 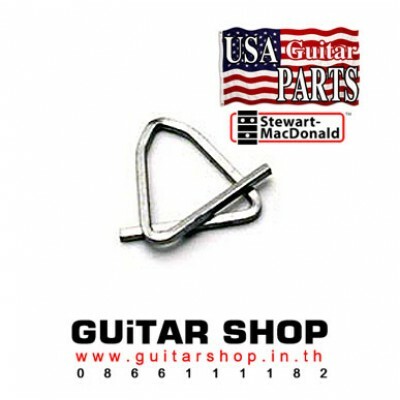 Condition: New สปิงล็อคหย่องเลสพอล Nashville Tune-o-matic Saddle Retainer Clips **กรณีซื้อสินค้าหลายรายการค่าจัดส่งสารถคิดรวมกันได้ .. 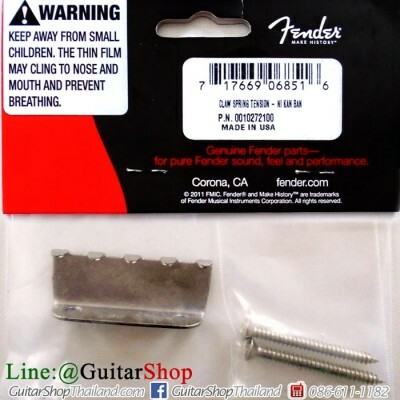 Condition: New Genuine Fender Hipshot Tremsetter Set 099-0811-000 The Fender Hipshot Tremsetter Kit installs into the tremolo cavity of your electric guitar or bass to help eliminate flutter and tuning instability. 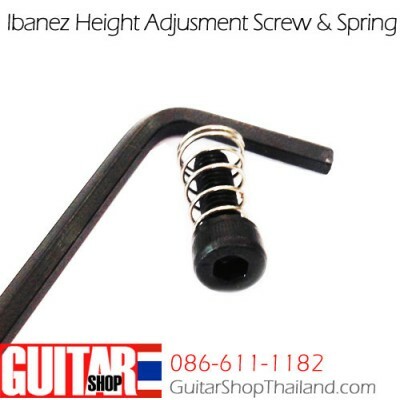 Includes all parts and an allen wrench for adjustment. 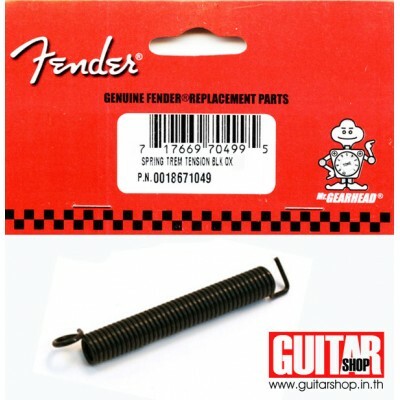 Product Features Genuine Fender Replacement Part High Quality Durable .. 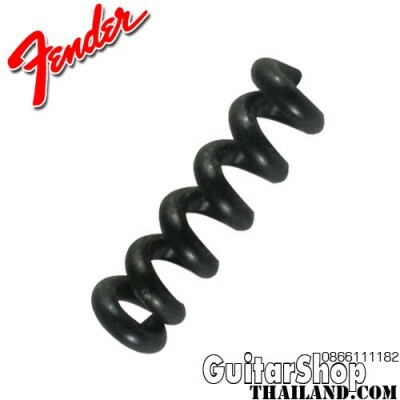 Condition: New สปริงดำกีตาร์เฟนเดอร์ USA**จำนวน 1 ชิ้น แบ่งขายไม่บรรจุเพกเกจ Fender Tremolo Tension Springs Black Oxide Product Features Genuine Fender Black Oxide Tremolo Springs Fender replacement part Genuine Fender replacement. Black *กรุณาตรวจสอบขนาดและรายละเอียดของสินค้าให้แน่ใจว่าตรงกับสิ่งที่ท่านต้องการก่อนทำการสั่งซื้อ ..